WARNING : time fences apply to all distances including untimed events. 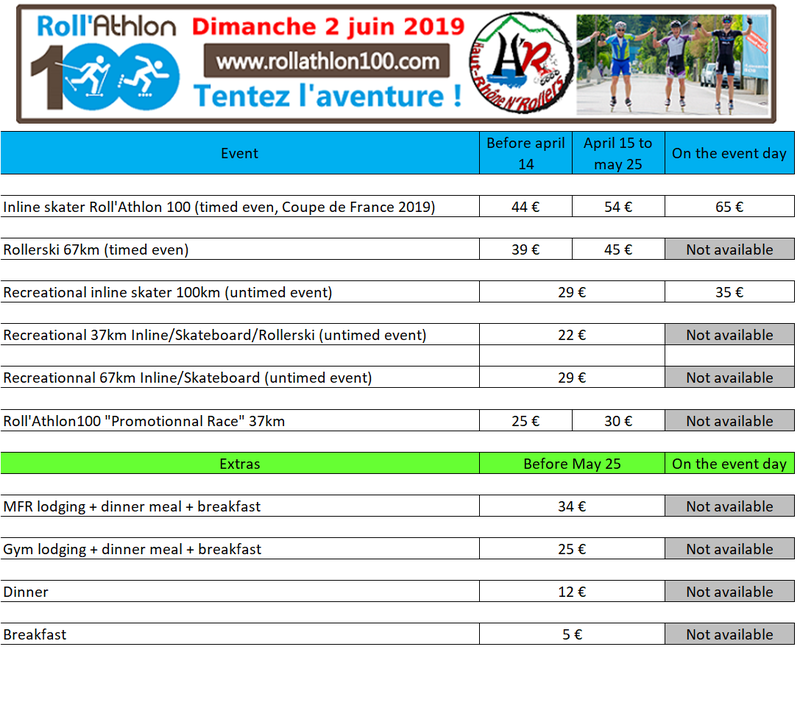 103km Roller Chrono : rollerskating race, 3d stage of the Coupe de France des Marathon Roller 2019. 103km Roller Untimed: no time, but the same pleasure for 103km! 67km Roller Rando : untimed.  For confirmed long distance skaters who are not willing to struggle toward the 103km. After a first trial in 2018, long distance skateboarders can skate the 37km or the 67km. For late registrations on 103km race (Saturday june 1st and Sunday june 2d), an extra fee of 5€ will be charge for the chip location. Under-18 athletes must show a parental authorization on the event to get their bib. Online registration and payment (via Sport-up) will be opened until May 25th, 2019, midnight. No transaction fee will be charged. 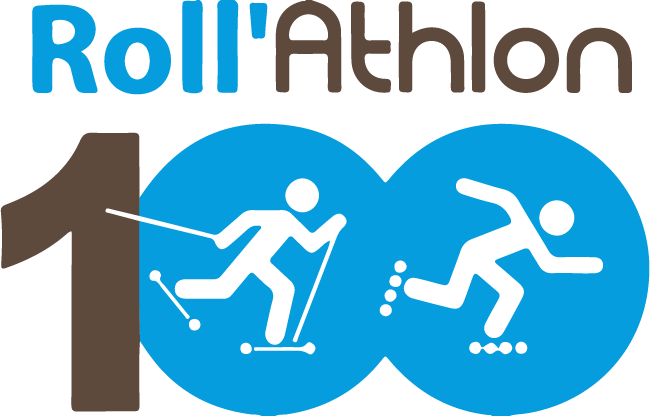 All athletes registered to the Roller 103km Timed event and the Rollerski event will get the Roll’Athlon 100 jacket (300 available)!